Taunton, 1 vs. New Bedford, 5 – Final – Taunton junior Jared Roderick scored off an assist from DiNey Rodrigues to cut the New Bedford lead to 2-1, but the Whalers pulled away to earn the two points. Sharon, 1 @ Milton, 2 – Final – Sharon’s Bridget McManus scored the lone goal for the Eagles. 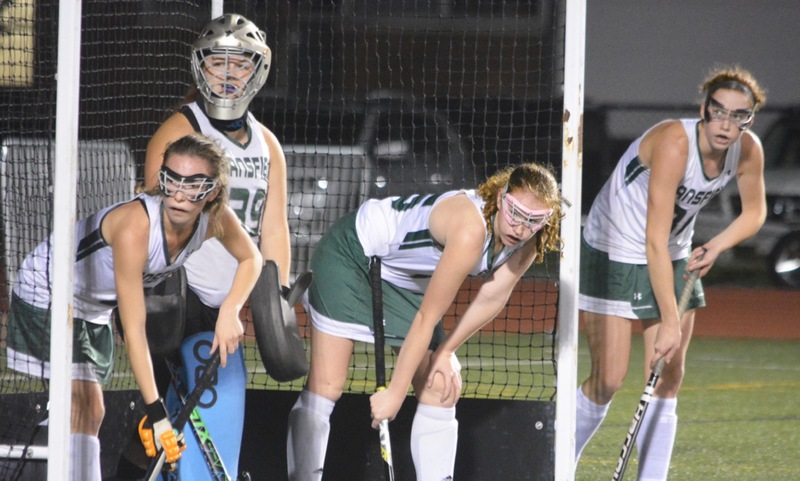 Mansfield, 1 vs. Duxbury, 0 – Final – Mansfield junior Kayla Hunter made 11 saves in a shutout effort, helping the Hornets open the season with a win over visiting Duxbury. Sophomore Abby Varricchione scored the lone goal of the game with just under 10 minutes left in the first half. Stoughton, 3 @ East Bridgewater, 0 – Final – Stoughton senior Allie Howe scored a pair of goals as the Black Knights opened the season with a non-league win over East Bridgewater. Brittni Paul scored the other goal for Stoughton. Taunton, 0 @ New Bedford, 3 – Final – McKenzie Lucie had a strong game defensively in the back row for the Tigers but Taunton dropped the season opener to New Bedford. Jaime Brown and Riley Edwards both stepped up and did a good job setting for Taunton after losing starter Kayli Fagan to an injury in warmups. Mansfield, 171 @ Taunton, 188 – Final – Mansfield sophomore Ryan Dow fired a match medalist round of 38 to lead the Hornets to a season-opening win over Taunton. Senior Jake DiSangro and sophomore Nathan Morreale each shot 44 for Mansfield while sophomore Ava Haggis carded a round of 45. Jack Giebel had the best round for Taunton, finishing with a 45. Canton, 2 @ Norwood, 0 – Final – Canton senior Jake Verille converted a penalty kick and freshman TJ McCabe netted his first career goal as the Bulldogs earned two points on the road in a non-league game. Foxboro, 1 @ Canton, 2 – Final – Click here for a recap of this game. Mansfield, 2 @ King Philip, 1 – Final – Mansfield scored once in each half, netting the game-winner with just over 15 minutes to play in the game. Hayleigh Crawford opened the scoring, putting the Hornets up 1-0 on an assist from Ann Maher just before the midway point of the first half. KP tied the game five minutes into the second half when Dana Truini converted a centering pass from Alli Meehan. Kristina O’Connell netted the winner on an assist from Crawford. Mansfield goalie Kayla Hunter made 21 saves in net. Oliver Ames, 3 @ Taunton, 1 – Final – Oliver Ames had three different players score in its win on the road. Liz Nuss, Maggie Woods and Maura Kiernan each found the back of the net while Kayla Lozzi had two assists. Caitlin Grant made nine saves in net for Oliver Ames. For Taunton, Diana Brens scored on an assist from Lauren Torres. Sharon, 0 @ Stoughton, 6 – Final – Stoughton’s Lauren Berteletti and Julia Russell both found the back of the net twice while Kamryn Oliveira and Haley Apotheker each added single goals for the Black Knights. Franklin, 3 @ Attleboro, 0 – Final – Maggie Doyle had a strong day at the service line, recording 14 service points, including three aces, and added five kills as the Panthers earned a sweep on the road. Ellie Wisniewski (eight kills) and Meaghan Maguire (seven kills) helped pace Franklin’s offense. Foxboro, 0 @ Canton, 3 – Final – Canton defended its home court with a 25-20, 25-20, 25-15 sweep over the visiting Warriors. Nicole Brown led Canton’s offense with 18 assists, four kills and one block while Hannah Jerrier added 10 kills. CHS head coach Pat Cawley said Angie Elias and Nyah Claiborne played well off the bench. Mansfield, 0 @ King Philip, 3 – Final – King Philip earned a sweep against the visiting Hornets, cruising in the first game before edging Mansfield in the final two (25-13, 25-23, 26-24). Sydney Phillips led the way with 22 service points, including four aces, and led the offense with 14 kills. Michaela Palumbo added 12 kills, Rachael Veilleux finished with 32 assists and Julianne Rando had six digs. For Mansfield, Meg Hill had eight kills and four blocks, Julia Harrison added six kills and Greenly Kelly finished with five kills and three blocks. Junior Katie Dardinski had eight service points for the Hornets. Oliver Ames, 3 @ Taunton, 1 – Final – After dropping the opening game, Oliver Ames rallied for three straight wins to earn the victory on the road (24-26, 25-17, 25-20, 25-23). OA head coach Chelsea Cunningham praised senior Caroline Cavanaugh, saying she was “the glue on and off the court.” Sophomore Ally Kemp finished 30 assists, junior Sadie Homer had 22 digs, senior Emma Petrillo added 14 kills, and senior Kayla Raymond finished with 11 kills, four blocks and three aces. Sharon, 1 @ Stoughton, 3 – Final – Stoughton bounced back from its first loss of the season with a 25-19, 22-25, 25-22, 25-22 win over Sharon. Senior Vicky Ramos and sophomore Mykiah Simpson had strong games from the outside while junior Molly Turner added 17 assists for the Knights. Foxboro, 171 @ Milford, 170 – Final – Milford’s Andrew Fauerbach earned co-medalist honors, carding a team-low round of 39 to help the Hawks nip the Warriors. Foxboro’s Logan Sloan shared medalist honors with a 39 of his own. Milford’s Riley Lynch and Foxboro’s Noah Hicks each carded rounds of 42. Franklin, 166 @ Mansfield, 162 – Final – Mansfield senior Brendan Loomer and freshman Brian See both carded rounds of 38 to lead the Hornets to a close win over Franklin. Senior Madison Haughey and freshman Joseph Gormley added rounds of 43 for the Hornets. Stoughton, 179 @ North Attleboro, 150 – Final – All four of North’s top golfers finished with rounds under 40 in middle course at Heather Hill. Dylan Kane fired a one-over-par round of 36 while Matt Wanless, Marcus Costa and Jillian Barend each shot 38 on the day. FRANKLIN, Mass. – It felt like mid-summer on the turf at Beaver Field on Monday as Franklin hosted Mansfield in a Kelley-Rex showdown, but the weather didn’t slow down either sides’ offense as the two sides battled to a 2-2 tie. Just two minutes into the game, Franklin had a scoring opportunity but the Panthers couldn’t find the back of the net. Four minutes later, Mansfield had an opportunity of its own but a kick save by Franklin goalie Anna Jardine (nine first half saves) kept the Hornets off the board. Ten minutes in, Franklin had another good scoring chance but a nice save by Mansfield goalie Kayla Hunter (11 saves) prevented the Panthers from taking an early lead. With 16 minutes left in the half, Mansfield’s shot was kicked away by Jardine and to the top corner of the circle where Ann Maher put the ball on her stick and drove a shot to the corner to put the Hornets up 1-0. Two minutes later, a would-be Franklin goal was waved off after it ruled the shot hit the foot of a Franklin player. Mansfield would then see their best scoring opportunity for the rest of the half when the Hornets had three shots on goal in a sequence with nine minutes left in the first half, but stout play from Jardine and the Franklin defense managed to keep the Franklin deficit at one. With the first half winding down, Franklin junior Annie Walsh had her shot tipped and deflected in by sophomore Erin Walsh, and the Panthers tied the game up 1-1. With the heat, Franklin made a goalie change at halftime, putting in Christina Luccini who would be tested immediately with an early Mansfield corner, However, Luccini was able to kick it away for the first of her six second half saves. With 22 minutes left in the half, Franklin had a scoring chance of their own, but once again a save by Hunter kept the score tied. Eleven minutes later, a rebound after a Mansfield corner made it onto the stick of Kristina O’Connell, and she put it in the back of the net to give Mansfield a 2-1 lead. Franklin kept attacking, however, and once again they broke through late in the half, as Regan Paterson scored off a rebound to tie the score up at two. Franklin wasn’t done after Paterson’s goal, however, as the Panthers had another scoring opportunity with just 1:40 to go in the game, as Cassi Ronan’s aerial off a corner went just over the net, and despite a late Mansfield push, the game ended in a 2-2 tie. Franklin (2-3-2) will head to Attleboro on Wednesday to take on the Bombardiers. 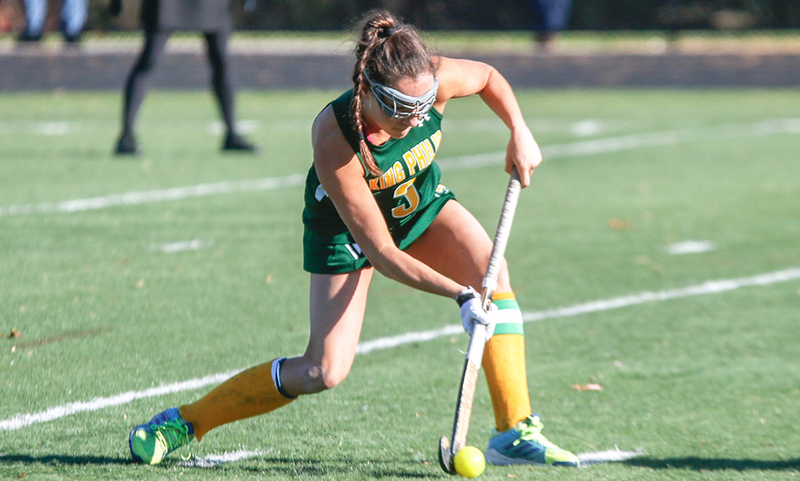 Mansfield (2-2-2) heads to King Philip on Wednesday to take on the unbeaten Warriors.